Note: This post was amended on November 11, 2014 with information provided by a reader. Autograph album presented to teacher Laura B. Skinner at the conclusion of the 1886-1887 school year of the Esek School, presumably in Belmont County, Ohio. The clipping above tells of the celebration at which Miss Laura received her album. I can imagine her delight in reading the newspaper, clipping this article and pasting it in her treasured album. "Miss Laura B. Skinner closed a very successful term of school at Esek on the 10th. Many of the parents were present. Many kind words of endorsement of the teacher and complimentary of the school and the day's exercises, were expressed. Mr. Shotwell on behalf of the pupils presented the teacher with a handsome album, an expression of their regard for the teacher. Taking it all in all it was the best closing exercises ever held at Esek. I wasn't able to find information on an Esek School, but a few students gave their town of residence, either Compher, Ohio, or Smyrna, Ohio, so Esek School had to be in that area. 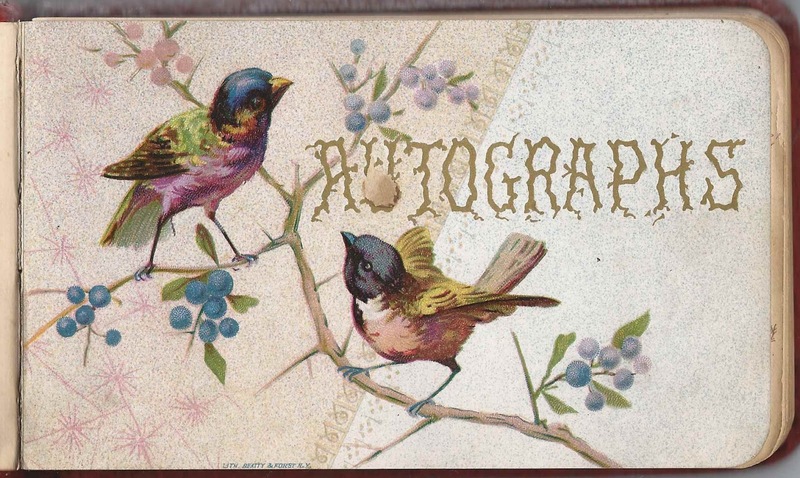 The album is approximately 6" x 4" and contains over 40 pages signed by Laura's students, some of the younger ones apparently with a bit of help. An alphabetical list of the signers appears at the end of this post. Laura B. Skinner was born in Ohio about February 1861, give or take a year. Her father was Richard Skinner, born in Maryland about October 1836. Laura's mother may have been the Elizabeth Skinner, daughter of Kinsman and Isabel (Fowler) Skinner, who married Richard Skinner, perhaps a cousin, as mentioned in the Centennial History of Belmont County, Ohio, and Representative Citizens. 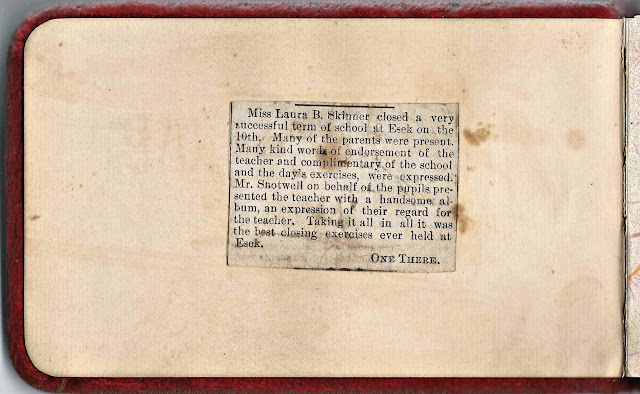 Laura was still teaching and living at home by the time of the 1900 Census of Somerset, Ohio. By 1910 her mother Elizabeth had died, and it appears that Laura gave up teaching to help her father with the farm. She was still living at Somerset, Ohio, at the time of the 1940 Census. Following are a few of the pages signed by Laura's students. 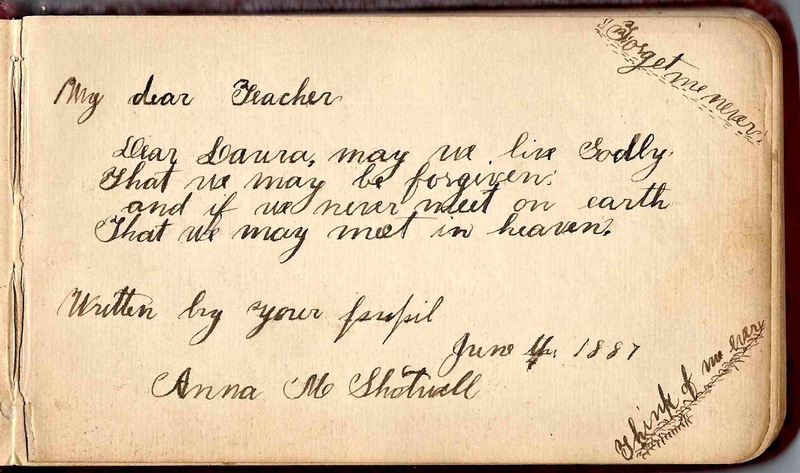 Anna M. Shotwell signed in June 1887. Mattie Hobbs of Compher, Ohio, signed a page on 7 June 1887. 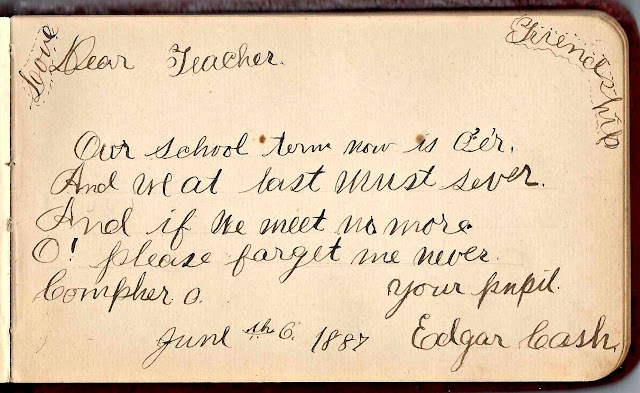 Edgar Cash signed a page on 6 June 1887. 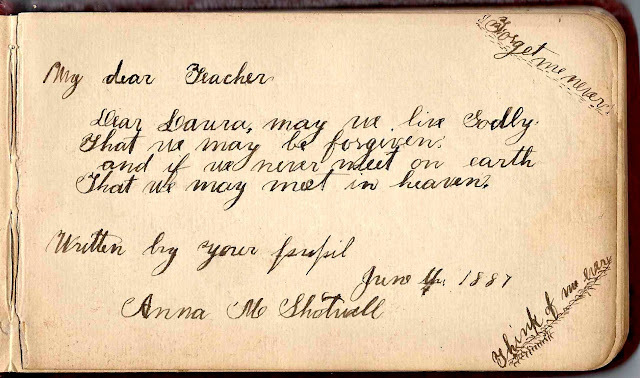 Inkie Stoner or Stover of Compher, Ohio, signed a page on 6 June 1887. 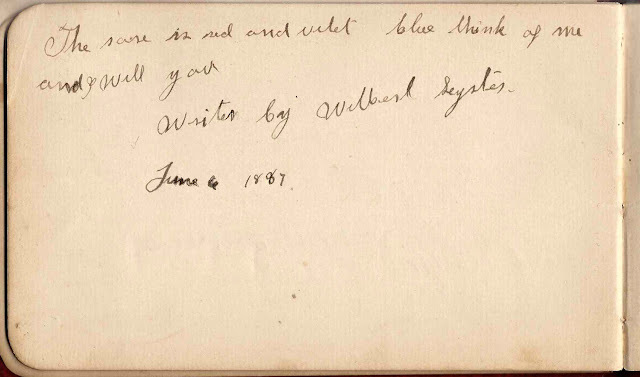 Wilbert Lyster or Leyster signed a page on 6 June 1887. Interestingly, Laura was living with a Lyster family at the time of the 1930 Census of Somerset, Ohio. 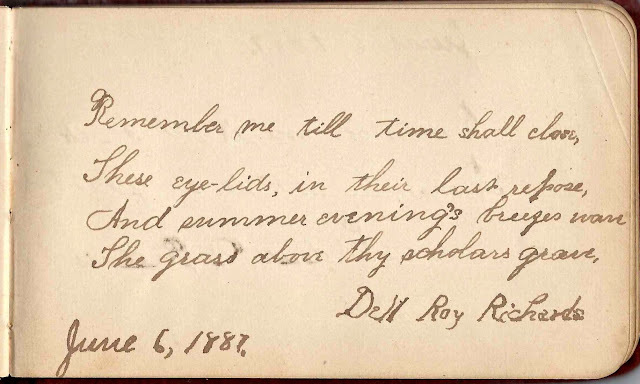 Dell Roy Richards signed a page on 6 June 1887. 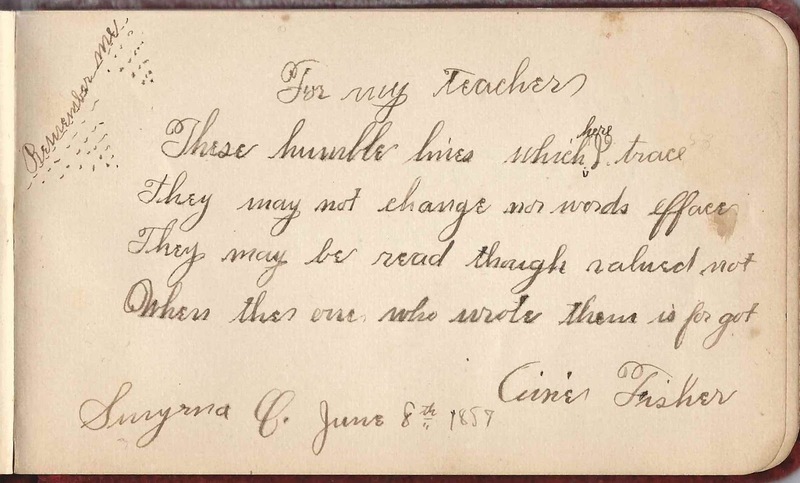 A student whose first name I can't decipher but whose last name was Fisher and lived at Smyrna, Ohio, signed a page on 8 June 1887. If the name jumps out at you or if you're familiar with the Fisher family of Smyrna, Ohio, please leave a comment or contact me directly. Thanks! 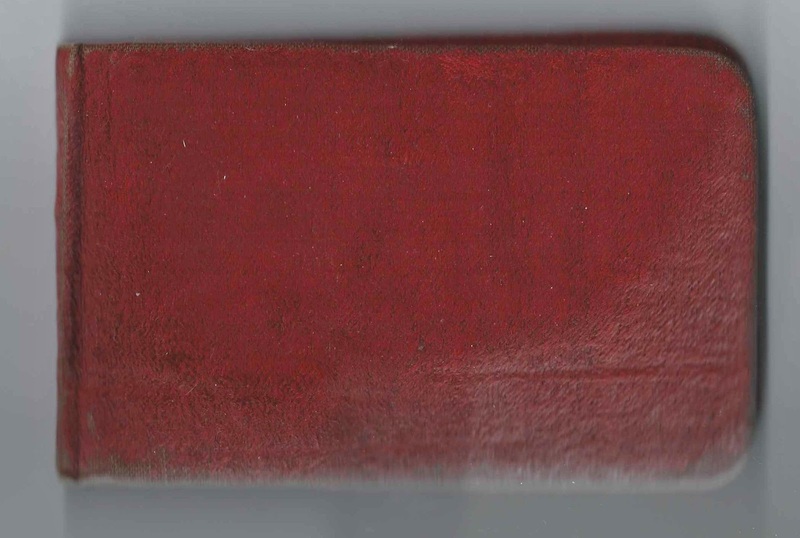 Note: A reader believes that the signer was Margaret Airie Fisher, who was 13 about the time of the album and was living with her stepfather John Romans at Smyrna, Ohio. She later married Henry C. Frizzell; they're buried at the Smyrna Cemetery. If you have corrections to the information above or information on any of the signers listed below, please leave a comment or contact me directly. Thanks again! Wilford Cash; he wrote his name in a very young hand; someone else wrote the sentiment for him. He was apparently one of Laura's youngest students.
? 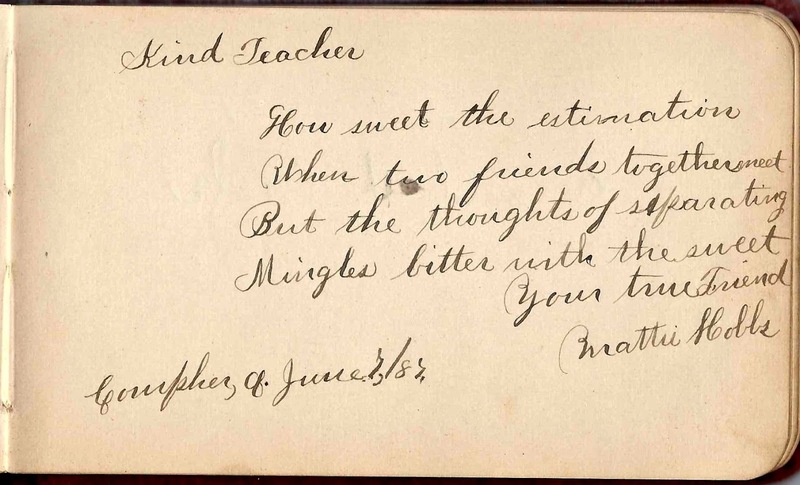 Fisher, signed at Smyrna, Ohio, on 8 June 1887; Laura's student; presumably, thanks to a reader's comment, Margaret Airie Fisher, who was 13 about the time of the album and was living with her stepfather John Romans at Smyrna, Ohio. She later married Henry C. Frizzell; they're buried at the Smyrna Cemetery. Johnie Hobbs. 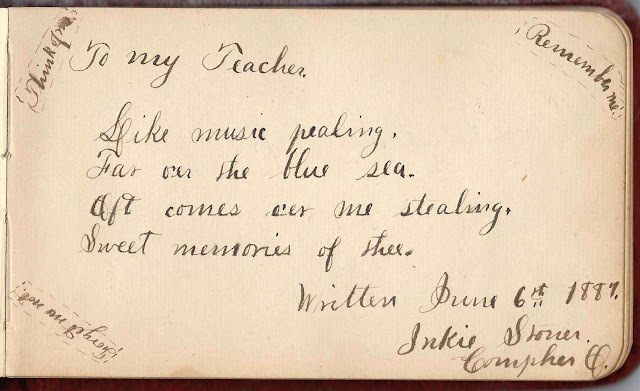 "Johnie" signed the name in a very young hand; someone else wrote the rest of the sentiment and dated it 6 June 1887. "Johnie" may have been one of Laura's youngest students. Laura B. Skinner, owner of the album. The album was presented to her by the school where she was a teacher and contains her students' autographed pages. wonderful find. thanks for posting. The student named Fisher you are inquiring about above is probably my great great grandfather's sister Margaret Airie Fisher Frizzell who would have been about thirteen years old in 1887. She was living in Smyrna at that time with her stepfather John Romans and is buried in the Smyrna Cemetery. Ah, many thanks - that explains the two dots! I'll amend the post to show the name as Airie Fisher with your additional information.